Filmmaker Georges Méliès has had quite the year, what with being the centerpiece of this year’s most Oscar-nominated film (Scorsese’s Hugo), featured in our exhibition Midnight Party (obviously the biggest deal), and now the raison d’être of AIR’s new album, a soundtrack written on occasion and for the color restoration of Le Voyage Dans La Lune (A Trip To The Moon). It’s a somewhat serendipitous happening, considering that Le Voyage, his most famous film, was made over one hundred years ago. 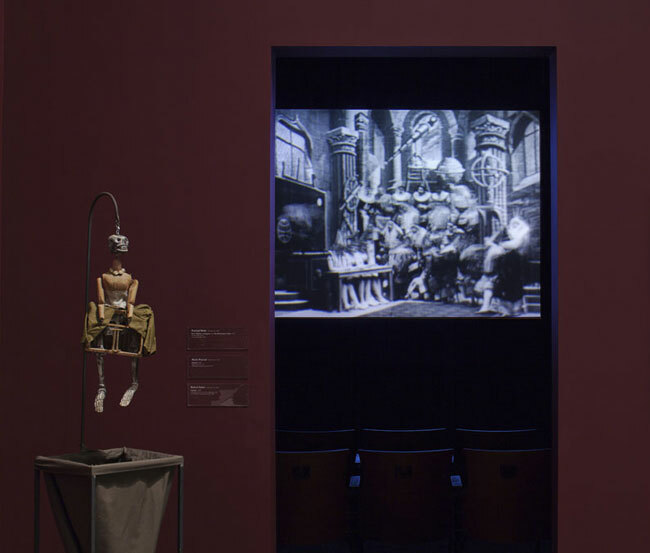 Of course, restoring the color version of Le Voyage was no easy process and actually began in 1993, when archivists in Barcelona uncovered a reel that Méliès himself had colored, frame by frame, to screen on special occasions. It was, to put it lightly, in very poor form. The completed color restoration premiered at Cannes last May accompanied by AIR’s new soundtrack (completed in a month-long time frame). So inspired by the process, AIR bulked up the 14-minute soundtrack to a 30-minute album, released today and available for streaming through NPR’s First Listen. If you didn’t make it to Cannes, or catch one of the handfuls of screenings around the world, the restored film is included (albeit on DVD or digitally) with album downloads and purchases. If you’re not familiar with this film and you haven’t heard of Méliès …don’t worry. I was in the same boat until Midnight Party came along, honestly. 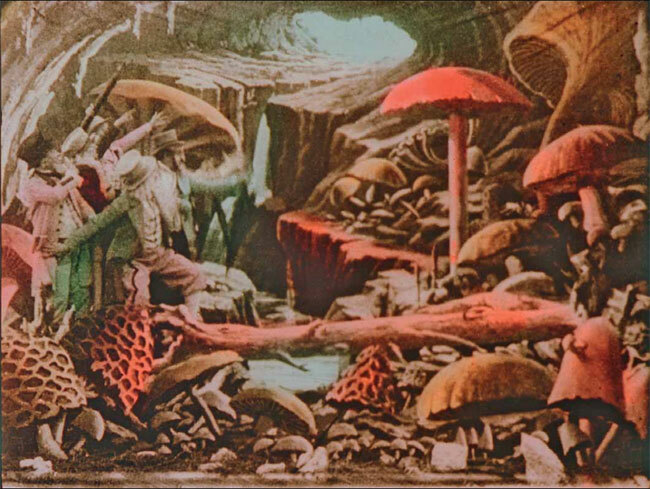 He’s referred to as the “cinemagician” and “the father of special effects” (and so on), held in high esteem for his incredibly clever special effects wizardry done entirely by hand. He began his career as a stage magician and, after seeing a Lumière brothers film, began to make his own, transferring his tricks to film and creating many new ones. For really amazing sequences like this one he would actually pass the same unexposed film through the camera 6 or 7 times before he was finished. If he screwed up any of those times the whole process would be ruined. That is nuts! He was able to get this kind of to-the-frame precision by having the camera (that he built himself from a modified Lumière bros projector) bolted to the floor in his studio, and by keeping a metronome next to the camera operator, so he knew how fast to crank it. Another method involved cloaking part of the set in a black cloth where Méliès wanted to insert an effect, shooting the scene, then re-shooting the exact same scene but with everything else covered except for where the special effect was to be. By cloaking scenes in black, the film wasn’t exposed, so he could go back, align the film perfectly, and create a flawless scene without risking double exposure . Along with envisioning fantastic scenarios and stories, he was also a meticulous master planner. 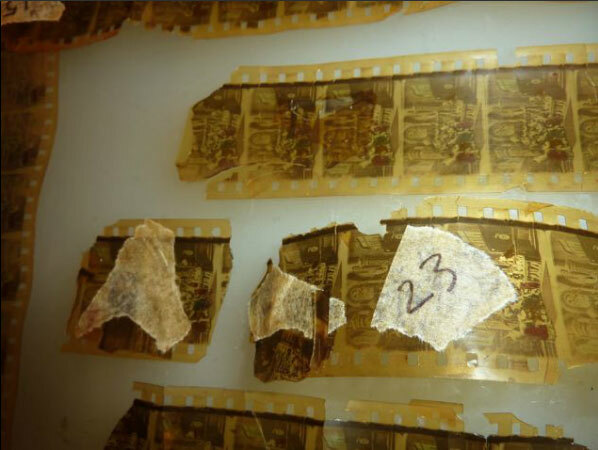 Finally, below is a shot of a few strips of the original film as they found it in 1993. Over 14,000 frames had to be carefully pieced together (after unpeeling the petrified film millimeter by millimeter). The Foundation Technicolor for Film Heritage and The Foundation Groupama Gan for Cinema have also published a book about Méliès (which includes a chapter titled LunAIR! and pictures of him at this Montparnasse train station toy shop) and the process of restoration, A Trip to the Moon Back in Color, which you can read online here (if you like page flippy noises and read French) or here (for a PDF with more English sections).